tutorial|How to Import Music Using 3uTools? 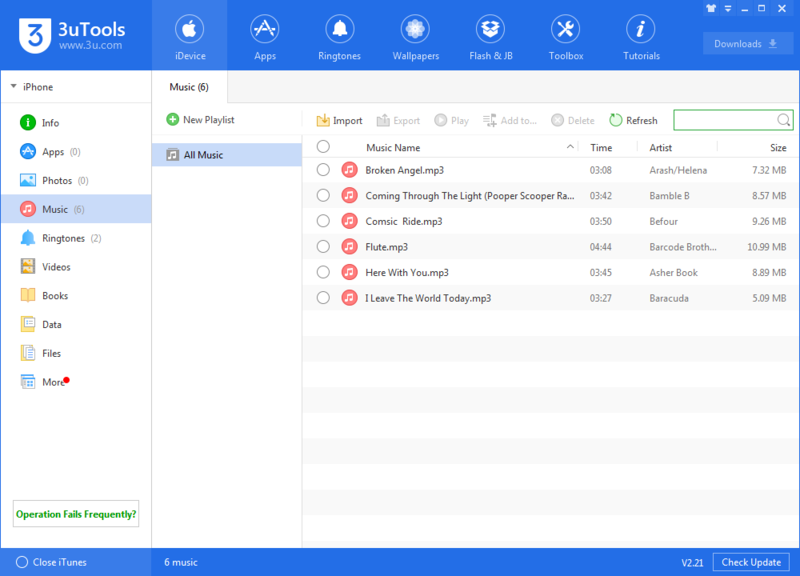 How to Import Music Using 3uTools? 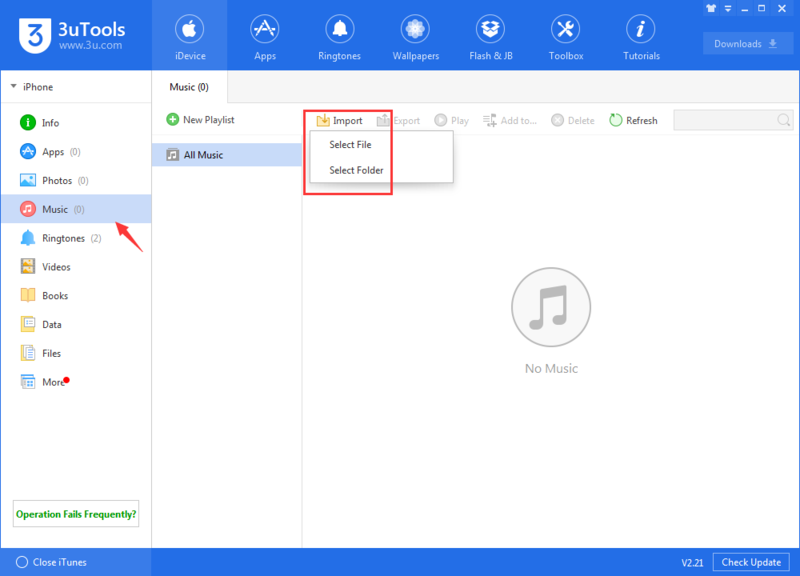 As a result of the limitations of iOS system, we can not directly import music from PC to iDevice, but 3uTools allows you to manage music in iDevice easily. This tutorial is mainly introducing how to import music using 3uTools. First of all, please ensure that you have installed the latest 3uTools on your PC. Step 1: If you have downloaded some songs on your PC, please directly connect your iPhone to PC using the USB cable. Step 2: After it’s connected, please click “Music”→ then click “Import”. You can import files or a folder. Step3: As shown in the following picture, you need to choose music from “Select file”or “Select folder”. (Click “Select folder”here)→ “My Music”of your PC→ then click “Confirm”.Now, 3uTools will automatically import music from your PC to iPhone. 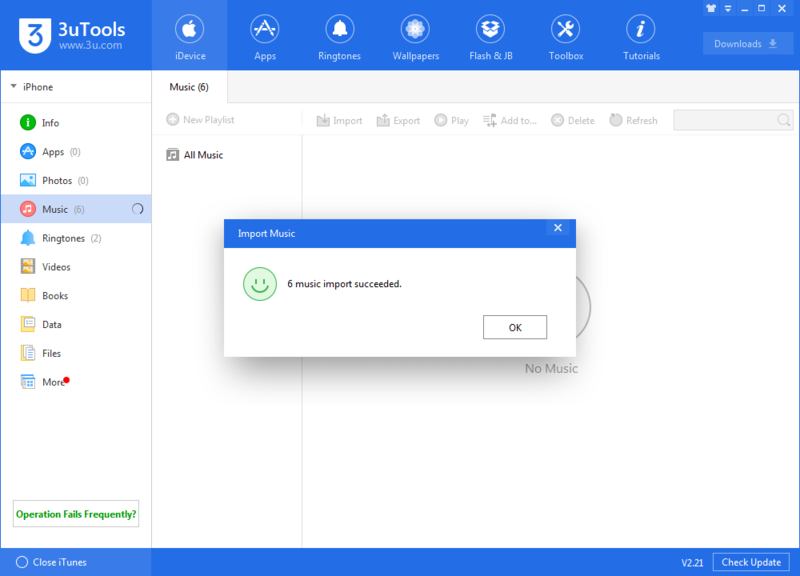 Step4: Please wait until this process is finished, and 3uTools will give you a reminder that music import succeeded. 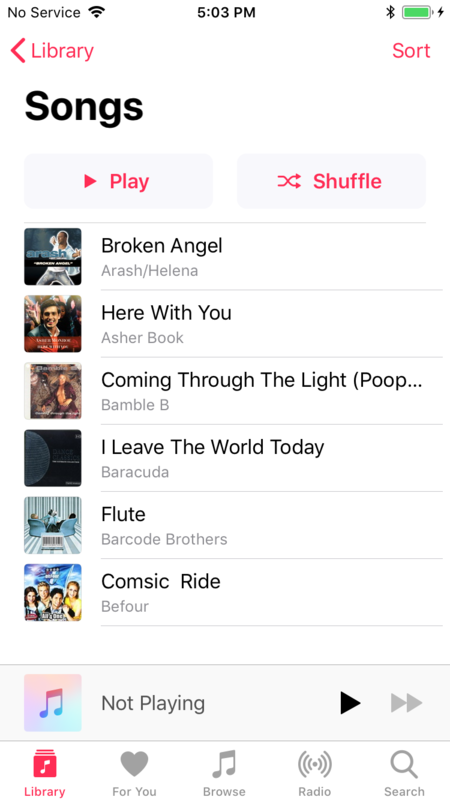 Step 5: Now, you can find all songs in your iPhone’s music.